As a southpaw myself, I… just don’t get it. I mean, sure, as a keyboard nerd, I get it – it’s a cool looking keyboard, it’s customized to someone’s needs, and, in the mechanical keyboard community, more form-factors are always welcome. I just don’t get it that it’s marketed at left-handed people – or at least marketed as a “left-handed” keyboard. If anything, it should actually get marketed at right-handed people. See, most right-handed people prefer “tenkeyless” designs, since it keeps their mouse (which is on the right of the keyboard) closer to the the main part of the keyboard. This means they don’t have to move their right hand too much between typing and moving the cursor. Now, left-handed people don’t get this problem – if we consider the proper left-handed people who put their mouse on the left instead of living a lie1. So getting a keyboard that puts the numeric keypad on the left does nothing much besides bringing a right-handed people problem to left-handed people! For right-handed people who are conflicted about standalone numeric keypads, however, this might be a good option to consider. 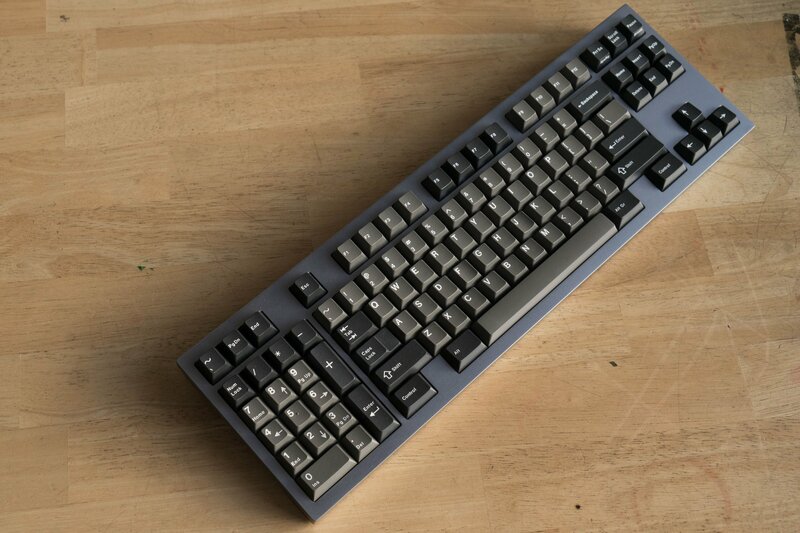 Either way, if you’re interested in this so-called “left-handed” keyboard, for whatever reason, head over to the group buy page, you still have a week or so to order.